Premature Ovarian Failure (POF), also known as Ovarian Hypofunction, is defined as a loss of normal ovarian function before the age of 40. Some people think that POF is premature menopause, but menopause is a natural process the female body goes through as it ages. During menopause, a woman’s body will gradually, over many years, stop producing mature follicles (eggs) for ovulation. Estrogen and progesterone levels naturally decline causing the menstrual cycle to come less often until eventually it stops. The normal age range for women to naturally go through menopause is 45-55, with the average mean age of 51. Unlike menopause, POF is not a naturally occurring process for a woman’s body. There are different reasons a woman may be diagnosed with POF; these are broken down into two categories: follicle dysfunction and follicle depletion. Throughout a woman’s life her ovaries contain thousands of follicles, and these follicles contain eggs. The pituitary gland begins releasing FSH at the beginning of the menstrual cycle and the release of FSH signals some of the follicles in the ovary to mature. As the follicles begin to mature they are supposed to release estrogen over time. The rising estrogen level signals the pituitary gland to curb the release of FSH. If the follicles do not mature (and thus do not produce enough estrogen; the low estrogen signals the pituitary to crank out more FSH) and the FSH levels remain high. Women with POF show high levels of FSH. This is why the doctors perform FSH tests, to see if the levels are too high. In a normal functioning follicle, the estrogen levels rise and signal the pituitary gland to release Lutenizing Hormone (LH). LH signals the follicle to open and release the mature egg at ovulation and produces progesterone to ripen the uterine lining for implantation. When the delicate communication between the pituitary gland, the ovaries and the follicles does not work properly, ovulation does not occur. Let’s look at different reasons POF may happen under those categories. Autoimmune Disorders: An autoimmune disease happens infrequently, but is on the rise. Autoimmune diseases in some cases may damage follicles; by the woman’s body producing antibodies that attack the ovaries and in turn may harm and damage the follicles. Doctors are not sure why this occurs, but some say it may be due to an exposure to a virus. When a follicle becomes damaged it can no longer produce estrogen properly which is the key hormone it releases to communicate with the pituitary gland. The use of Systemic Enzymes may prove effective in helping with autoimmune disorders. Follicle Depletion: This is defined as low or few follicles responding to the signal of the FSH being released. These follicles still exist in the body, they just don’t communicate. Over time they begin to die off and diminish as the entire reproductive system begins to suffer. The communication and proper function of the reproductive system is fragile and is one that depends on all of its parts to operate accurately to maintain vitality. If the follicles do not mature, ovulation stops happening and the menstrual cycle becomes irregular or stops completely because there is no estrogen and progesterone to make a uterine lining to shed. 1. Buy organic foods whenever possible! Non-organic foods often contain pesticides, herbicides, preservatives, hormones and antibiotics. Though we may want to deny the facts, it is stated on many medical based websites like the Mayo Clinic’s state that toxins play a role in POF. 2. Avoid using pesticides or herbicides in your yard, garden or surrounding areas. 3. Avoid synthetic-chemical-loaded-mainstream body products including make-up. 4. Avoid using feminine products that are not made from organic cotton, contain plastic or are made from rayon. 5. Drink filtered water, avoid tap water. Symptoms of POF are similar to those of menopause, but may be more extreme. All of these symptoms are similar to other fertility issues, which makes self-diagnosis incredibly difficult. If you have missed your period for over 3 months and are over the age of 35, you may want to talk to your doctor about testing for POF. I don’t want to scare any of you, but it is important when dealing with fertility issues to have a good solid diagnosis so that you can know where to go from there; a starting point and options. POF is usually diagnosed by having your estrogen and FSH levels tested. Extremely low levels of estradiol (estrogen) and high levels of FSH are signs that the ovarian follicles are no longer responding to the FSH to increase estrogen levels. AMH or anti-mullerian hormone may be tested as well especially if you desire to become pregnant. Ultrasound imaging may be helpful in that it can show if the ovary is the right size and shape. This kind of scan may help to see the follicle count and if the ovary is atrophied. There is also a blood test that measures the levels of AMH (Anti-Mullerian Hormone) also known as MIS ( Mullerian Inhibiting Substance) which is produced directly by the follicles. AMH levels correlate with how many antral follicles are in the ovaries. Women with low levels of AMH typically have low levels of follicles. What if I have already been diagnosed with POF? First off, I would like to say that my heart goes out to you, as this can be a devastating diagnosis. It is pretty much a consensus across the board that POF is a difficult condition to properly diagnose. If you have already been given a diagnosis of POF it is important to have clear communication with your doctor about the tests you have been given for this conclusion. A definitive diagnosis of POF usually means that you will have extreme difficulty getting pregnant; though women with POF may still become pregnant. So, do not give up hope if you have not yet had a child because it could still happen. Remember, these will only help in supporting the body’s natural functions and cannot cure POF or prevent POF from happening if there is a genetic factor or chromosomal defects. Focusing on Improving Egg Health, nourishing the endocrine system and maintaining optimum health of the ovaries, fallopian tubes and uterus are vital. Below are some ways to support all of these important parts of fertility. Nutrition plays a big role when it comes to having a healthy body and reproductive system. The building blocks for hormones are found in the foods we eat. Antioxidants which help to protect the eggs and tissues of the reproductive system are found in the foods that we eat. What we eat each day is the foundation for our health and those foods have a great impact on our fertility. Eating a whole foods based fertility diet is the first step to helping the body and your fertility function at its best. Maca is a nourishing food for the endocrine system, aiding the pituitary, adrenal, and thyroid glands (all involved in hormonal balance). This superfood works to protect the body from the damaging effects of stress, supports egg health and has been shown to increase libido. Shatavari is an Indian herb that has been used for thousands of years in the healing practice of Ayurveda. Its main constituent is steroidal saponins, giving rise to the conclusion that Shatavari has the ability to act as an estrogen modulator that may help regulate the menstrual cycle. This herb has adaptogenic and immuno-modulating properties, meaning it may be helpful with women who have stress related or immune-mediated fertility issues. Vitex supports hormonal balance in the body by having an effect on the hypothalamic-pituitary-ovarian axis (hormonal feedback loop), correcting the problem at the source. Vitex, also known as chaste tree berry, is usually the first line of defense in a woman who is experiencing irregular periods, helping to regulate communication of the entire reproductive system. Regular consumption of high-quality Royal Jelly has been shown to help balance hormones. This makes it beneficial to those individuals that suffer from a hormonal imbalance, as it helps to provide support to the endocrine system. It can also help with problems that are related to hormonal imbalance, such as polycystic ovarian syndrome or irregular menstrual cycles. Some studies have shown that Royal Jelly has the propensity to mimic human estrogen, which can help those who suffer from low estrogen levels. Royal Jelly is rich in amino acids, lipids, sugars, vitamins, and most importantly, proteins. It contains high levels of vitamins D and E, and also has ample levels of iron and calcium, all of which are essential to proper health and organ function. Systemic enzymes have been shown to greatly reduce an over-active immune response which is when antibodies attack with the intent to destroy our own tissues or that of another person’s (sperm or a fetus). This type of massage may promote hormonal balance by strengthening the hormonal feedback loop, increasing circulation to the uterus, ovaries, and fallopian tubes, bringing fresh, oxygenated, and nutrient-rich blood to the eggs, improving uterine tone, as well as aiding in the body’s elimination of toxins. Self-Fertility Massage can be performed on yourself in the comfort of your home. A sedentary, inactive lifestyle does not promote an environment to naturally cleanse the body of excess hormones and toxins. Exercise gets our hearts beating faster which in turn pumps more fresh oxygenated blood to the entire body; mainly our vital organs – each playing a vital role in our body functioning properly. This increase in circulation also helps with the elimination of toxins. Additionally, exercise increases body temperature triggering the sweat glands to produce sweat to cool us down. Sweat is another way our bodies remove toxins. Exercise at least 30 minutes a day, 5 times a week. It is never too late to begin to think about the future of our health. Premature Ovarian Failure shows us how intricately connected our reproductive system is connected with our brain and entire body and how environmental toxins play a huge role in infertility. Now is the time to work toward supporting the entire body’s health for the future by supporting its natural functions through diet, exercise, clean water and supportive natural therapies. Premature ovarian failure (POF) is a perplexing fertility health diagnosis that leaves women feeling heartbroken. Find hope and keep moving forward by Nurturing Yourself & Your Fertility With POF. Loes. M. M.D.(H.). (2010). The New Aspirin Alternative – The natural way to overcome chronic pain, reduce inflammation and enhance the healing response. Freedom Press. There was a story in your email newsletter about a woman named Javaria who conceived with POF using some of your products (https://natural-fertility-info.com/testimonial/javaria-a). How old was she and how long did she have POF? With this diagnosis there are many variables and those with the condition and younger are able to conceive “easier” than older women. Can you elaborate on Javaria’s story? Its pretty vague. Thanks. All of what we know is what Javaria shared. We do not know more of her story. I’m 39 and has been diagnosed with POF and it looks like I have an early menopause. I have Hashimoto disease. My FSH is 52.4, LH 30.3, Progesterone 0.8, AMH <1. I've been on the OCP for the last 10 yrs. On cessation of OCP I developed hot flushes and have not had a period. I was told at the Fertility Clinic that I need to have 3 blood tests done in the following 6 wks and if the result is bad, the only option is the IVF using the donor egg. I would like to ask you if you think is possible to still use my own egg before considering the donor option? I am sorry you are having to deal with all of this! I think letting the blood tests tell you, rather than me speculating, would be best. We certainly want women to have hope and there isn’t known harm is naturally preparing for IVF (supporting the health of any remaining eggs you have and uterine health). So, do learn more about doing that. This guide and our guide How to Increase Your IVF Success Rate Naturally. The tips share there can be used even if wanting to try to conceive naturally or prepare for IVF. My very best and you try to stay positive and move forward in the very best way for you! Thank you for entrusting us with part of your story! I would suggest reaching out to a society of reproductive practitioners in the country you are visiting or wishing to go to. Your doctor may be willing to refer you as well. If coming to the US, the American Society for Reproductive Medicine, ASRM.org, or the American College of Obstetricians and Gynecologists, ACOG.org, may be able to point you in the right direction. I am 42. My 1st period came when I was 13 & normally came every months. When I almost 38, I started not getting my menst for months, as I remember I just got twice within that year. It continued until I was 40 & then it seems disappear forever, I never got mens started from age 41. I visited few Obs/Gyns to consult my problems, & did some blood tests. The result was my hormone (FSH, LH) fluctuated from time to time & showed that I was in perimenopause phase. The last ObsGyn prescribed me to take Hormone Replacement Therapy orally (cy**o prog**ov*) since June 2017, every cycle finished then I got my “fake” menstruation. I want to quit this HRT intake & get my period back, can you help me? For some women, hormone production begins to naturally ebb and flow as they enter their 40s and perimenopause. This may not mean you will never have another cycle and ovulate, but both may be random. We can not guarantee natural therapies will help bring back your period and “normal” cycle of the past. While you learn about that program, our guide Achieving Pregnancy During Perimenopause will share what to focus on when trying to conceive during perimenopause in order to achieve pregnancy. on 11th day and my cycles are short- 24 days.Do You think I may still get pregnant?Are my chances really low? Does it look like POF? I take Vitex, Maca,Royal Jelly, Prenatal Vitamins, Vit D, Iron, Ubiquinol as well as Metformin and Euthyrox. I’m sorry for your losses and the challenges you’ve shared of. I want women to believe pregnancy will happen! So, stay in that place! Your doctor is best able to evaluate if what your hormone levels mean is POF. I can not guess at that. How long have you been taking the supplements you listed and at what doses? These are all wonderful in many ways! Are you eating as clean of a whole good diet as you can; a diet like the Fertility Diet? What about daily exercise, stress and weight management? These are all areas to look at when working to help the body return to balance and become as healthy as possible prior to conception. Hi there, my period was late so i had some blood work done to figure out what my hormone levels were doing. (I had previously had low AMH of .37 and high FSH of 14.8 and was able to conceive after a few rounds of clomid and hcg injections). I was on CD33 and had FSH 9.8, Estradiol <50, AMH .23. Spoke to RE about our potential for more children and he sounded more hopeful that i had anticipated. He said we could try 1-3 months of clomid again before moving to IVF. What I know is that in general for menstruating women, normal FSH levels during the follicular and luteal phase should range between 5 and 20 IU/L (international units per liter). For AMH levels, normal = Over 1.0 ng/ml (but not over 3.0 ng/ml; low Normal range = 0.7 – 0.9 ng/ml and low = 0.3 – 0.6 ng/ml. Estradiol results may vary from woman to woman dependent on age and test time, but in general, levels should be between 30 to 400 pg/mL (premenopausal women). You may find these values vary depending on who you talk to as well. Test results revealing low AMH levels indicate reduced egg quantity (ovarian reserve), but egg quality and chances for a healthy pregnancy may remain good. We share more in our guide Low AMH Levels: What Do They Really Mean For Fertility?. Hello, I just wanted to give people some hope and optimism. I was diagnosed at 28 with pof. I also conceived and had a baby when I was 29 and had my second child at 31. Don’t give up…. you just never know what may happen. Hi I have questions regards Pregnancies and Post POF Diseases. I was diagnosed with POF 1.5 years ago at the age 40. I stopped menstruating some 2 years ago. So I am assuming there is no possibility for pregnancies. Please advise. Are there any diseases that I would be in risk of due to POF? Would I be of high risk to osteoporosis and cancer of the ovary? I am sorry to hear this! I also wouldn’t say there is “no possibility” of pregnancy, but I have to be honest, it may be challenging. It will be best to talk to your doctor about your risks of any additional health concerns. He is best able to answer this question based on your health. Hi, I am 18 and have never had a period. I was diagnosed with POF when I was 16 (based on high FSH), but I feel the diagnosis may have been in error because I may be ovulating regularly (based on my own speculation), and had a very small amount of bleeding a few months ago. I never properly developed, and if I had, this wouldn’t be so devastating. I’m just wondering if anyone has any advice for me at all. I have seen several endocrinologists/OB/GYNs and they are all eager to take my money but have not helped me in the least. The synthetic and bioidential estrogen I was given made me gain 30 lbs. At this point, I am desperate for someone who knows something to help me. I am very sorry to hear all of this! Our guide How To Get Your Period Back is perhaps the best place to start. We are also more than happy to work with you! 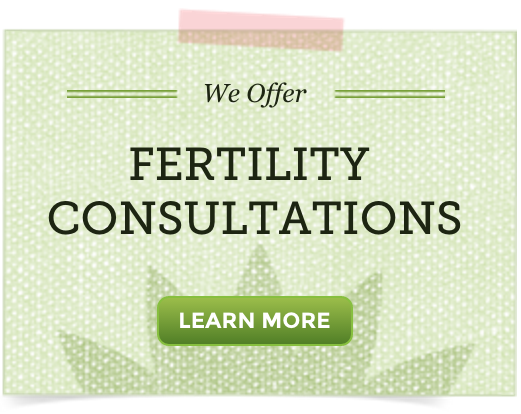 The very best way to receive a full plan designed specifically for your fertility health needs is to have a Fertility Consultation. Beginning in November of 2015, I began taking a plant-herb called Moringa Oleifera with a company called Zija for 9 months. It helped with some of my symptoms, but didn’t help with my period. I began acupuncture in late July of 2016 and in mid August of 2016, I got my period. Then when September came, I didn’t get my period, followed by the other months. I basically haven’t had a period since August of 2016. I have had acupuncture treatments almost every month. I am taking maca root capsules, cell food, and I just ordered some dong qui from this site. Should I get more acupuncture treatments? It is my opinion that if acupuncture helped you have a period, then it could be continued. It would be best to discuss need for frequency of appointments with your acupuncturist. It may also help with ovulation and that is key for a chance to conceive with POF. Hello, I am 30 years old and I have only half of an ovary. I had surgery on one ovary when I was 10 due to a 10 pound cyst on it and had to have it removed. I had another surgery on my other ovary 3 years ago due to having another cyst on my ovary. My doctor decided to leave half of my ovary so that I would have a chance at having children. A month after having my second surgery, I began to experience hot flashes and I wasn’t having periods,so my doctor put me on estradiol to start my period. I don’t want to take estradiol tablets because of the side effects. My doctor said that I might be having menopause symptoms, but I disagree with him. I think I might have POF or PCOS. What do I do? I’m sorry to hear of what you have been and are going through! I have heard of doctor’s leaving 1/2 an ovary to hopefully help prolong menopause. Do you know if you are ovulating? I can not know if what is happening is POF or PCOS. This really is best to discuss with and have testing performed by your doctor. I had the exact same thing happen to me as you did. I had a 10 pound dermoid cyst taken out when I was 13. In my 20’s I had my right ovary removed due to another dermoid cyst, and then I had another dermoid cyst on my left ovary two years later. In 2009 I had yet another dermoid cyst on my left ovary that needed to be removed, and about a month later I had hot flashes and no period. My FSH was nearly 100! Hello. I am wondering if POF is the same as low ovarian reserve?? Or similar. I don’t see a specific link for low ovarian reserve. Thanks! They are not exactly the same. We have this guide AMH, Ovarian Reserve, & Continued Follicle Production that speaks more to ovarian reserve. I am 38, diagnosed with POF at 35. I visited a fertility specialist recently and was told my ovaries were “quiet,” with egg donation as my only option for pregnancy. An OB/GYN recommended HRT (estradiol patch .1mg/day, with 100mg progesterone daily), while an integrative doctor suggested ovex, wild yam, tribulis, and plant sterol supplements. Question: Do you think I should cycle HRT with supplements? I’ve done so in the past; what additional benefit would vitex or the progesterone cream offer? I’m trying to regain periods or ovulation; I have no autoimmune or genetic predispositions so the POF is a true mystery; I eat organic, am very physically active, and healthy otherwise! I’m sorry to hear of your dianosis! It is going to be best to discuss cycling HRT with supplements with your healthcare providers. Each should know what you choose to do so as to note successes and monitor you while on your program. What we know is that for women with POF, menstrual cycles can still occur even years after the diagnosis and 5-10% of women with POF can still conceive on their own. So, my guess it that your integrative doctor’s suggestions are to help the body try to keep having a cycle and maintain hormonal balance as best as it can. Ovulation may be spontaneous, but can still happen. Our best advice for women with POF is to stick to your program and track ovulation monthly so you can know when it happens and optimize chances of natural conception. I hope this helps at least some as you choose the best path for you to motherhood. I am 44 years old and recently received my blood works back , my fsh is 38.2 but they are saying I have ovarian hypofunction. What I have read this is considered under the age of 40 but I am 44. I am confused . I do suffer ovarian cysts and I have Graves’ disease. Can you shed any light on my confusion. From what I know, ovarian hypofunction over the age of 40 is considered premenopause. All concerning words, I know! I’m sorry you’ve learned of this challenge! The tips in this guide, as well as our guide Female Fertility Health: Balancing Hormones in Premenopause could be considered. Hello, I am 36 and was recently diagnosed with a lazy ovary. I went to an OBGYN, she took an ultrasound, and this was the basis of the diagnosis. I was told that I am unable to conceive. I believe that a second opinion is in order, but am unsure where to start. Fertility specialist? What questions should I ask to make sure I am fully informed? Yes, a fertility specialist or reproductive endocrinologist may be best. It would be helpful to know of the health of the other ovary and if the lazy ovary is still ovulating or “lazy” why? (What is the cause?). You can ask about hormone levels and thyroid health, although both are likely to be (re)evaluated during a follow-up. Hi ,I am 36 years old diagnosed with PCOD. I conceived 3 times ( durng 7 yrs of TTC) and ended up with miss carriage at 7th week ,9th week and now at again 7th week. I had to undergo D&C twice for my second miscarriage. This caused Ashremans syndrome and I had to undergo hysteroscopic surgery to remove it and saw that the part where baby was stuck, the endometrium wall is not seen.Now after long 1 year treatment my endometrium wall thickness is corrected and I got pregnant again .But unfortunately ended up with miscarriage. Might be poor egg quality .I am 77kg , 156cm height. Could you please advice/suggest any supporting medicines for improving egg quality? Have you been able to learn what may be causing the miscarriages? Has it been egg health or uterine lining health? Have you sought in-depth fertility testing beyond that which diagnosed PCOD as you are obviously ovulating (which many women with PCOD/PCOS do not)? Have you considered immunological fertility testing? I ask the latter questions as having had 3 miscarriages before the age of 36 if pregnancy occurred naturally may indicate an immunological fertility health issue. As you contemplate additional testing, consider learning more about 5 Steps To Decreasing the Chance of Recurrent Miscarriages and also about Systemic Enzyme Therapy.